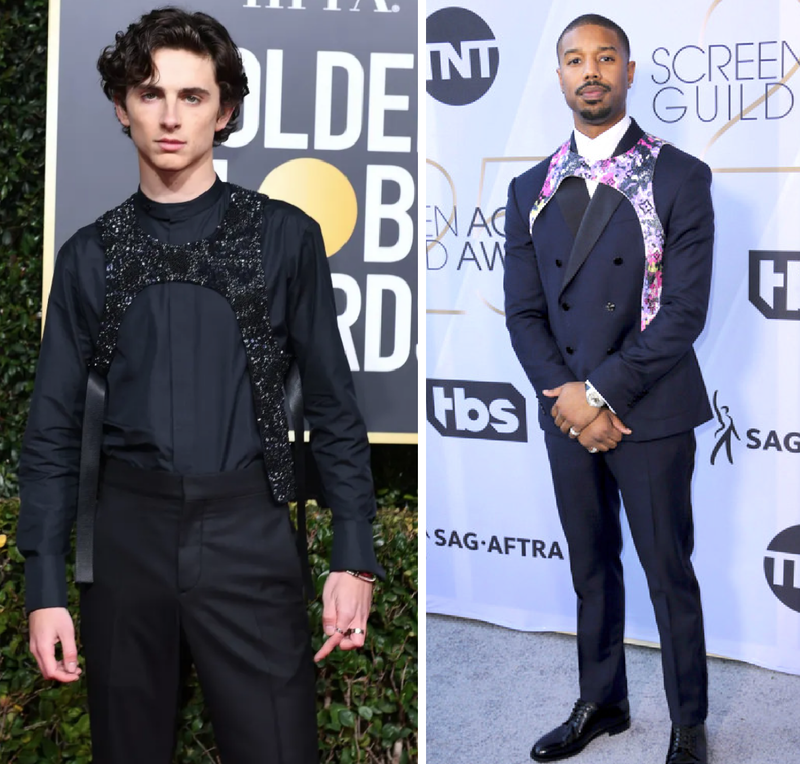 Labels: gratuitous, Michael B Jordan, Timothée Chalamet, Who Wore It Best? It looks weird draped over a dress coat on MBJ. 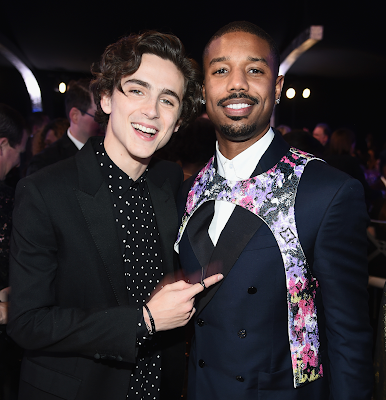 Timothée's harness looks like a piece of a well thought out design. MBJ's harness looks like they threw any ole harness over a suit and called it a day. Timmy's got the better bulge, too. Michael is generally way hotter but Timothée's outfit that night in particular looks better. In general I'd like to be supportive of a straight guy wearing a bright pink and purple harness to...well, anywhere. But like DJ said above, Jordan's harness has nothing to do with his outfit. Timothee's looks well-coordinated and stylish (although why are they both kind of asymmetrical? It's driving me crazy).